The organ programme may have died a death in Kuala Lumpur, but it’s still very much on the go in Singapore and on 9th December I’ll be giving a recital on the Klais in The Esplanade (to book follow the link). Always one with an eye on anniversaries, I decided that I’d look ahead to 2012 in my programme and choose music by composers who celebrate some kind of anniversary next year. More fool me! No sooner had I got the Esplanade to agree to the idea than I realised that, after years in which major composer anniversaries had been two-a-penny, 2012 is one of the most anniversary-free musical years we’ve had for a long time. No major composers to celebrate centenaries, bicentenaries of tercentenaries of births or deaths, and surprisingly few 150th or 250th anniversaries. Choosing the programme became a real headache and required a lot of investigation. But every cloud has a silver lining and out of the paucity of birthdays I was able to put together a programme of pieces which, in the normal order of events, I might not have thought about. The programme on the flyer isn’t quite right – even after first submitting it, I remembered that Messiaen and Mathias both died 20 years ago and, as the recital takes place the day before what would have been Messiaen’s 104th birthday it would have been wrong not to include some music by the Ms – but I’m glad I’ve been able to have a legitimate excuse for airing Boëllmann’s ever-popular Gothic Suite and thrilled to have been forced to unearth some of the music of Coleridge Taylor, a composer for whom I have had a deep affection ever since I made my choral conducting début with a double-bill of his Hiawatha’s Wedding Feast and Tales from Old Japan. The 150th anniversary of Boëllmann's birth falls next year on 25th September. Born in Ensisheim in the Alsace region of France, the town's website lists him as one of just three "famous men" born there – the others both being Jesuit preachers, Johann Rasser (1535-1594) and Jakob Balde (1604-1668) – but doesn't mention that he left the place at the age of nine and spent the rest of his life in Paris, where he died barely a month after his 35th birthday. He was one of 14 children, and his musical skills encouraged his parents to send him to the Ecole Niedermeyer where he studied organ with Eugène Gigout. 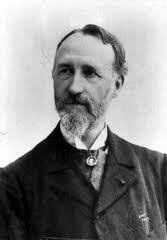 He graduated in 1881, married Gigout's niece (spending the early years of married life lodging in Gigout's home) and was appointed organist of the church of St Vincent de Paul in Paris and a teacher at the Ecole Niedermeyer. Despite his early death, he composed some 40 opus numbers and several unnumbered works, and while these include several pieces for chamber ensemble and orchestra, it is his organ music which has kept his name in the public consciousness. 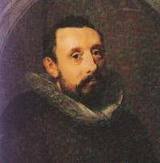 The earliest composer in the recital celebrates his 450th birthday in May 2012. He has gone down in history as the most important Dutch composer of the period and the last great composer of the Renaissance era: indeed one Dutch commentator has gone even further, declaring, “It is universally known that Sweelinck is one of the foremost personalities of music history”. He spent his entire life in Amsterdam where he was not only the city’s most important organist – holding the position at the city's Oude Kerk from 1573 until his death in 1621 - but also a highly-respected and sought-after teacher. He was also a prolific composer writing over 500 songs, madrigals, religious motets, lute pieces and keyboard music and well in excess of 100 pieces for the organ. The Esplanade wanted the programme to have some Christmas theme, so I found three pieces by composers with an anniversary in 2012 which have a distinctly Christmassy element. 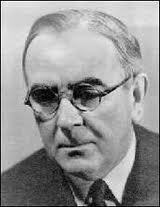 The first is John Ireland’s famous pieces, which he devised in several formats, including as a solo organ piece, The Holy Boy. Ireland gets into the programme on account of the fact that 12th June 2012 marks the 50th anniversary of his death, in Washington (a small, picturesque village in the classically English country of West Sussex, NOT the seat of American power). He had been born in Cheshire, near Manchester, and after the early deaths of both his parents, managed to gain a place at the Royal College of Music where he studied organ and became the youngest ever Fellow of the Royal College of Organists. He was appointed Assistant Organist at the important and famous church of Holy Trinity, Sloane Street, London, before, in 1904, being appointed organist at St Luke’s Chelsea where he remained for some 22 years. Eight years into his time at St Luke's, Ireland wrote a simple piano piece for, according to Muriel Searle's biography, "Bobby Glasby, a young chorister at St Luke's", called The Holy Boy and subtitled "A Carol for the Nativity". If an 11-year-old chorister called Bobby Glasby helped John Ireland achieve musical immortality, a seven-year-old chorister called Georg Friedrich Händel did much the same for Friedrich Wilhelm Zachau, the 300th anniversary of whose death falls on 7th August. Zachau was organist at the Marienkirche in Halle from 1684 until his death. Handel was sent to Zachau to learn the organ in 1692. Within a year he was standing in for Zachau who had "an inclination to be absent from his duties from love of company and a cheerful glass". Zachau was, however, solitary and sober long enough to compose 30 cantatas, criticised by the congregation for being "excessively long, unedifying and unintelligible", which complaint can surely not be levelled at his delightful little chorale prelude on the Christmas hymn, In dulci jubilo, one of dozens he composed which were, at one time, mistakenly thought to be the work of J S Bach. 24th August marks the 50th anniversary of the death, in the picturesque Devonshire village of Ottery St Mary, of one of the leading figures in English church music of the first half of last century. Henry George Ley was born in Devon and was admitted to the choir of St George's Chapel, Windsor, as a young chorister. 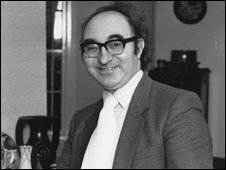 He learnt the organ from the then organist, Walter Parratt, continuing his studies with him at the Royal College of Music in London. He won an organ scholarship to Oxford, became organist at Christ Church Cathedral in Oxford (an appointment which created much controversy as he had yet to graduate) and, in 1926, was appointed Precentor (director of music) at Eton College where, according to Stanley Webb, "his remarkable playing and genial personality left a lasting impression on generations of schoolboys". He composed relatively little and mostly for use in the Eton Chapel, the Cradle Song, based on the 17th century German carol "Come Rock the Cradle for Him", written for the chapel organ in 1949. 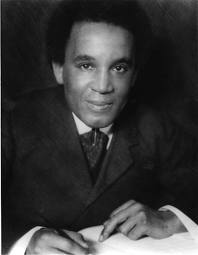 A current resurgence of interest in the music of one of England's first black composers, Samuel Coleridge-Taylor, may mean that some notice will be taken of the centenary of his death at the age of 37, which falls on 1st September. There is a very long way to go, however, before his music regains the huge popularity it once had with audiences in Britain and the USA. 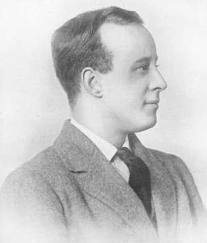 His great choral work, Hiawatha, was performed annually in costume in London's Royal Albert Hall until the Second World War, and it was so universally popular that, on his death, his widow was given a pension personally by the King in gratitude of her late husband's contribution to the musical life of the country. Born in London of an unmarried English woman and a Sierra Leonean doctor (who never knew of the existence of his son) he was brought up in the genteel town (now a less elegant London suburb) of Croydon, and entered the Royal College of Music as a violin student. He studied composition with Stanford, taught at Trinity College London, conducted the Rochester Choral Society and, at 22, created a sensation with the first part of his Hiawatha trilogy, the undoubted choral masterpiece, Hiawatha's Wedding Feast. That same year (1897) he composed two Moorish Tone Pictures evoking what he assumed to be the character of north African music. A suggestion by Peter Williams that Bach’s Fantasia in G could be dated to 1712 was enough for me to feel confident about including it in the recital – after all people expect some Bach in an organ recital! I fell in love with this piece when as a young boy I used to rush home after school to catch Choral Evensong on Radio Three. In those days you were lucky to catch the concluding organ voluntary, they usually faded out as the final Amen died away, but on one occasion I caught a few bars of something utterly magical. They never told you what it was, nor put it in the Radio Times so I decided I had no choice but to write to the organist as listed in the programme information. The service had come live from St Michael’s College, Tenbury Wells – a great institution which sadly closed down many years ago – and the organist was one Lucian Nethsingha (who went on to be organist at Exeter after Lionel Dakers headed up the RSCM). He charmingly sent me back a postcard (which I treasure to this day), in which his writing seems almost to have been written above a ruler. “I am so glad you liked my voluntary. 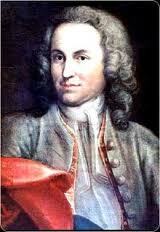 It was Bach’s Fantasia in G S.572”. Nethsingha did something very original with the closing section which so intrigued me that I have tried to emulate it in my performances. Come along next month and you will find out what it was! 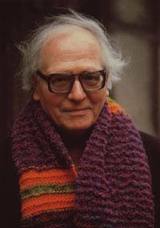 Meeting Messiaen in Cardiff as student was one of the truly great experiences of my life, so I’m glad I can include one of his works in the programme. His death occurred on the day of my own 38th birthday, 28th April 1992. Appointed Organist at the church of Sainte-Trinité in Paris in 1931, Messiaen was to remain in that post for a staggering 60 years fulfilling the daily duties of a parish church organist, playing at Sunday Mass, the services of the Office, for weddings, for funerals, and for major festive events. He wrote just 14 works for the organ all of which are thoroughly permeated with his profound, if unconventional, Catholic faith and visionary zeal. His first published organ piece, written in 1928 while on summer vacation from the Paris Conservatoire and staying at an aunt's farm in rural France, reflects on the sacrament of the Eucharist, where the body and blood of Christ are symbolically represented by bread and wine and, for the Catholic, actually become physical parts of Christ through the mysterious process of transubstantiation. In Le Banquet Céleste ("The Celestial Feast"), while the hands play slow moving ethereal chords (appropriately using the stops known as the voix celestes – "heavenly voices"), the pedals intone a peculiar figure at a very high pitch which are said to imitate the drips of Christ's blood as he hung on the cross (the score instructs the organist to make these sound like "drops of water"). So far as the organ world is concerned, the major anniversary being celebrated in 2012 is the 300th birthday of the most important English composer for the instrument of not just the 18th century but possibly of all time, which falls on 17th January. 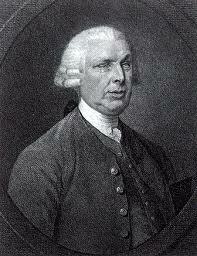 John Stanley composed six concertos for the instrument as well as three volumes of 10 Voluntaries each. On top of that he wrote four works for the stage, three oratorios, 19 cantatas, numerous songs, choral pieces and music for the royal court, was the youngest person to obtain a BMus degree from Oxford University (he was 16 at the time) and was the leading organist in London, attracting a wide circle of admirers, not the least among them being Handel. All this is made all the more remarkable since, when he was two, he suffered an accident at home which left him permanently blind and the study of music was encouraged by his parents more as a distraction than with any real hope of it becoming a career. He did well by marriage, too, marrying the daughter of a leading figure in the East India Company who brought in a dowry in excess of £7000.